EspaCity is used for stereophotogrammetry and stereoscopic 3D photogrammetry. The Topocad EspaCity adapter simplifies for everyone in need of a system for digitalizing in 3D via stereo photogrammetry. But also for those in need of a cohesive system for handling maps. Topocad is a complete software for creating, editing and handling maps and map databases. 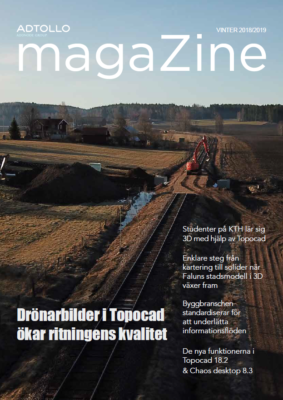 Topocad linked to EspaCity creates the possibility to edit the map in three dimensions using an established system for stereo photogrammetry. The connection between Topocad and EspaCity goes both ways and ensures that digitalized objects (points, polylines, arcs and circles) ends up in Topocad. When you highlight an object in EspaCity the same object is highlighted in Topocad and so on. You can open a map in Topocad and get the same zoom mode in EspaCity. Objects in Topocad is easily exported to EspaCity. The EspaCity adapter is an add-on module for Topocad and requires the Topocad Base module. We are also proud resellers of the Espa Systems package Espa 3D.